The app development project Adam was leading was getting intense. While the team was rapidly approaching beta, it was unclear if the app was performing well enough to release the beta version. The performance varied significantly from platform to platform, and phone to phone. The team was struggling to understand and fix the issues. With each passing day, Adam noticed his stress level going up. He was worried about it. Adam told himself “Don’t stress!” He knew that stress can be very unhealthy and unhelpful. “Sorry you’ve noticed Chris; I’ve been trying to keep it to myself. But you’re right, I have been feeling more and more stressed out. And I’m really worried about it. I heard that stress shortens our lives. I don’t want to be so stressed out!” Adam’s voice tightened as he talked; you could hear the stress in his voice. 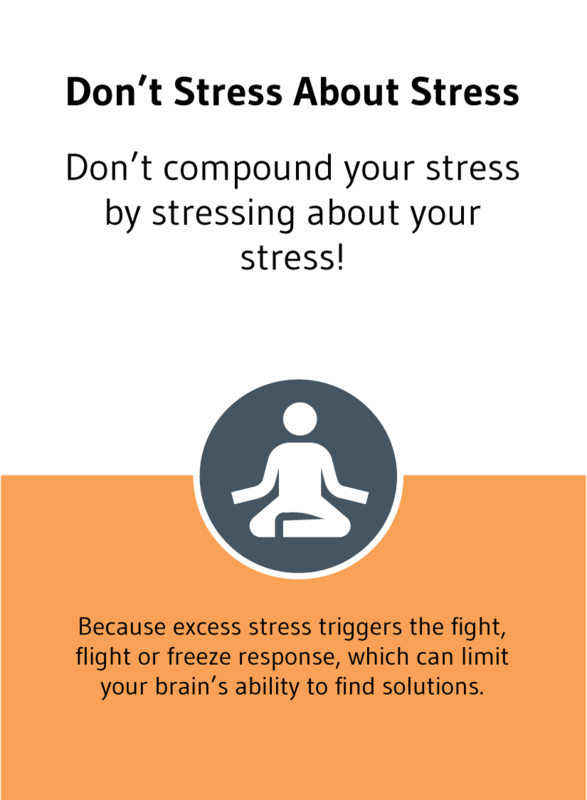 Excess stress triggers the fight, flight, or freeze response, which can limit your brain’s ability to find solutions. The more stressed we are, the more likely we are to choose fight, flight, or freeze as a response. While those responses are great for keeping you alive when you see a mountain lion on a hike, they are typically not as helpful for doing your best work to complete a project. The Yerkes Dodson law, originally published in 1908, shows that performance increases with physiological or mental arousal (AKA stress), but only up to a point. So moderate stress is helpful to our performance; extreme stress harmful. See “learn more” below for more detail. So, viewing stress as helpful helps us feel better both psychologically and physically. This attitude can help ensure we aren’t adding more stress by stressing about our stress! Don’t stress about stress! If you have excess stress, coping effectively is critical. But stressing about the stress doesn’t help. The next time you feel stressed, take a positive attitude toward it. 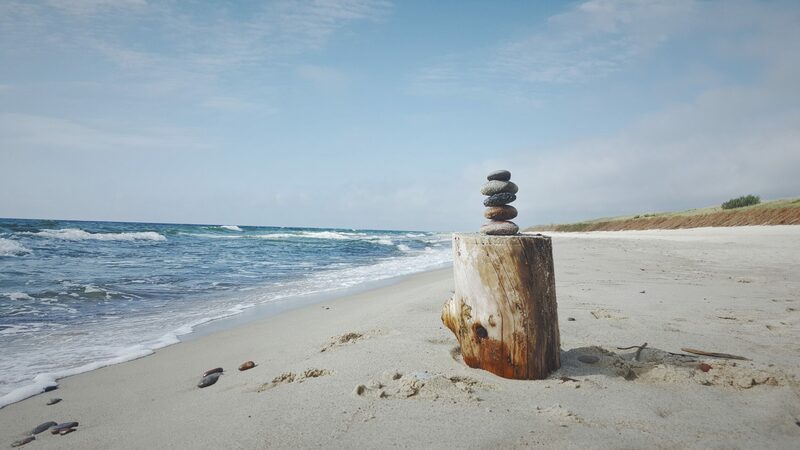 Remember that according to science, our performance, health, and happiness are maximized at a moderate amount of stress. Don’t add to your stress so it becomes excess, unhealthy, and unhelpful. Befriend your stress! It is helping you do your best work. As always, at Happy Brain Science, we welcome your questions or feedback.